Or maybe a from our Prague sightseeing tours a Brewery excursion would interest. We have several to select from including a tour of the second largest brewery in the Czech Republic called Staropramen. 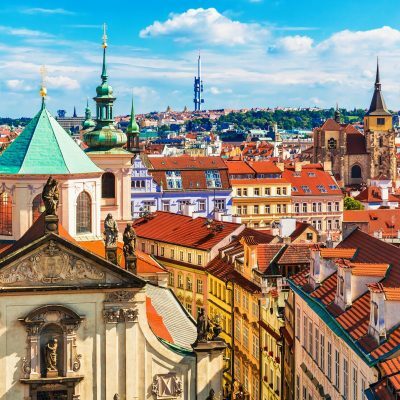 The Czechs are experts at making beer so this is quite interesting, or for the energetic type we have sightseeing tours in Prague by Bike and much more. Prague City tour in brief, a short informative introduction to the golden city in this beautiful historical City in the heart of Europe. Good for those who like a brief overview of the capital. Price per person: 520 CZK / 19.50 Euro, there are discounts available for children and students. The Prague Grand City tour guide will take you by coach and foot on an in depth Prague sightseeing tour. 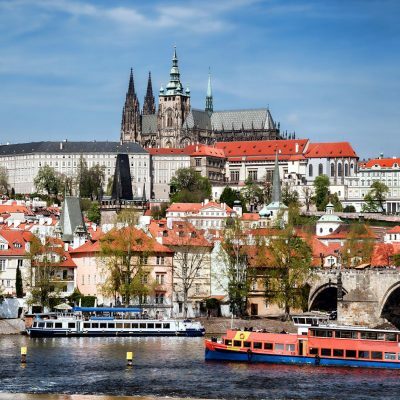 The tour will take in the Castle, Charles Bridge, Old Town Square and more. Price per person: 780 CZK / 29 Euro, there are discounts available for children and students. During this Prague Jewish Quarter sightseeing walking tour visit the only Central European Jewish town-quarter to survive the holocaust. Price per person: 1090 CZK / 40.50 Euro, there are discounts available for children and students. 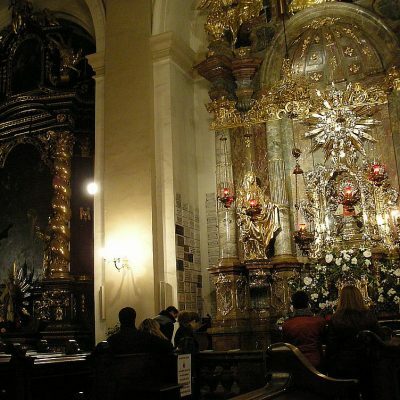 On the Infant Jesus of Prague tour see the world famous infant holy statue. Visited by thousands of pilgrims each year, stories of miracles and healing’s have made this a holy pilgrimage. Price per person: price on request, this tour is for groups of minimum 4 people and more. Enjoy this boat trip in Prague with coffee and cake. On the air conditioned boat you will be surrounded by amazing sights of the Czech capital. Including the Charles Bridge, the Castle and the National Theater and more. Price per person: 550 CZK / 20.50 Euro, there are discounts available for children and students. Relax on the Prague boat cruise with lunch. A full buffet lunch will wet your appetite as the boat cruises past some fantastic sights of the city. Pick up at your accommodation is included (there is no guide on this tour). Price per person: 790 CZK / 29 Euro, there are discounts available for children. Prague cruise with lunch and tour, a nice walk through the center and a Boat Trip along the River Vltava with lunch. One of the most popular Prague sightseeing tours. Price per person: 1020 CZK / 38 Euro, there are discounts available for children and students. 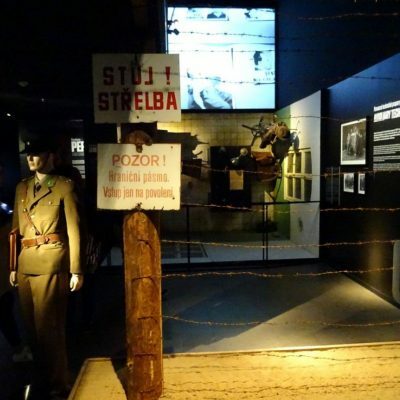 The Prague communist museum, an exhibition of cold war items. All from the Russian communist period of rule in the former Czechoslovakia behind the Iron Curtain. A must to see, don’t miss it! Price per person: 290 CZK / 11 Euro, there are discounts available for children and students. 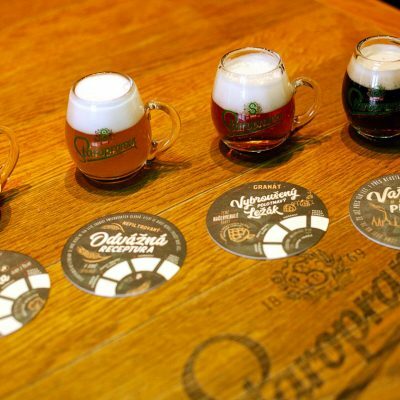 The Staropramen brewery tour will introduce you to the largest brewery in Prague. The process from start to finish will be revealed in this hi tech visitor center. Price per person : 790 CZK / 29 Euro. Enjoy our bike tours in Prague, try a leisurely bike ride through the center of this beautiful City at a nice pace. We offer four tour options taking in different sights according to your taste. Time: from 2.5 to 8 hours depending on option choice. Price per person: from 640 CZK / 24 Euro, depending on option choice. The New Town Prague brewery tour, an insight into Czech beer making at it`s best. The brew master brews this light beer from a recipe from the 14th century. Price per person: 845 CZK / 31 Euro, depending on group size and tour choice. 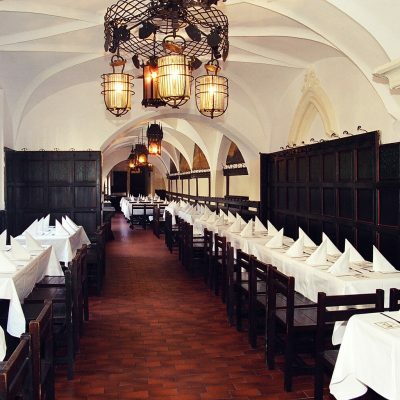 The Medieval brewery tour in Prague from our Prague sightseeing tours selections. See more than the beer making talent of the Czech nation on this tour. Price per person: 1036 CZK / 38.50 Euro, depending on group size and tour choice. 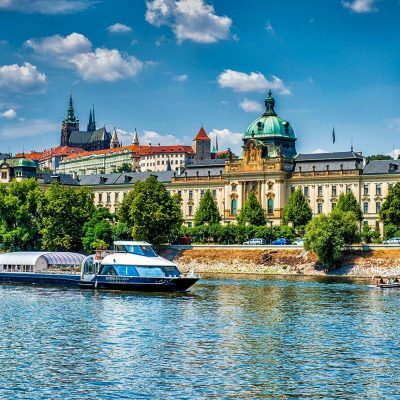 We have put together a full list of all the Prague river cruises on offer. From short daytime cruises to evening cruises with buffet dinner and live music and even the very popular New Years Eve Party cruise. Prague as seen from the river is another superb viewing dimension to this beautiful city not to be missed. 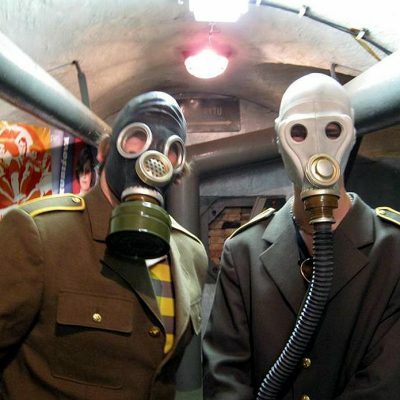 On the Prague nuclear bunker tour you will discover many hidden tunnels and chambers lurking beneath the city streets. You will be educated in the Communism invasion and the Velvet revolution in 1989. Price per person: 700 CZK / 26 Euro, depending on group size and tour choice. Discounts for students available.